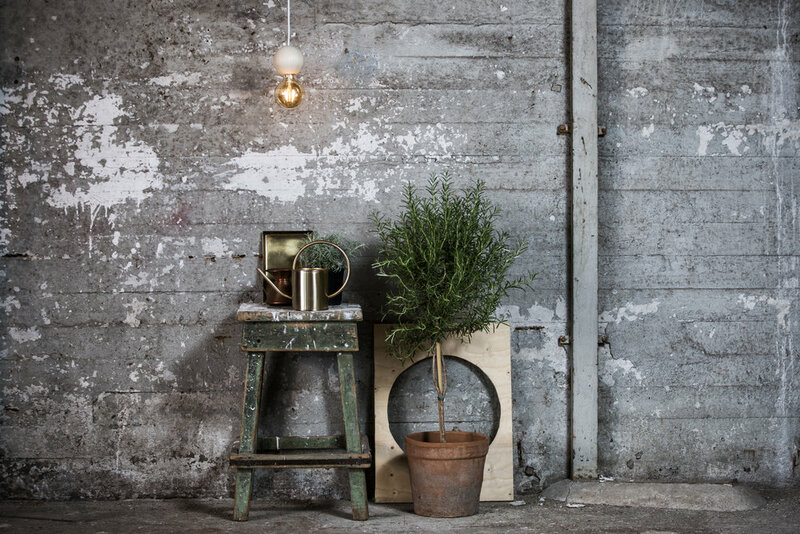 QUU Design is a new Nordic brand based in Finland, selling high quality lamps and product, bringing a touch of nature and minimalistic Nordic feel to your home. Behind the brand is interior designer Heli Mäkiranta from Muurame, Finland. After her studies in interior design at a private school in Helsinki, and architecture and furniture design at Karelia University of Applied Sciences, Heli launched her own design studio in 2014. From focusing on interior design she later got the opportunity to design her own lamp model when she one day was unable to find a suitable lamp for a clients home, and when interest took off Heli finally launched her own lamp collection, and QUU Design was born. 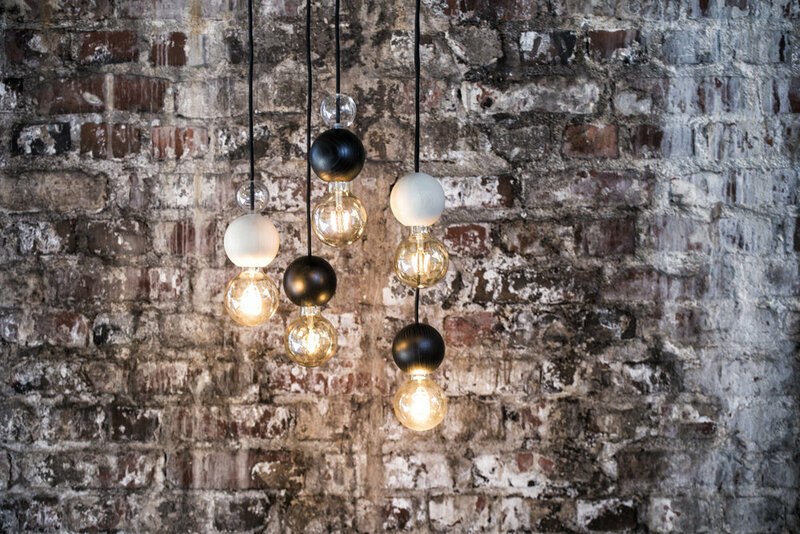 Supporting local and sustainable businesses, QUU lamps are made of high quality components. 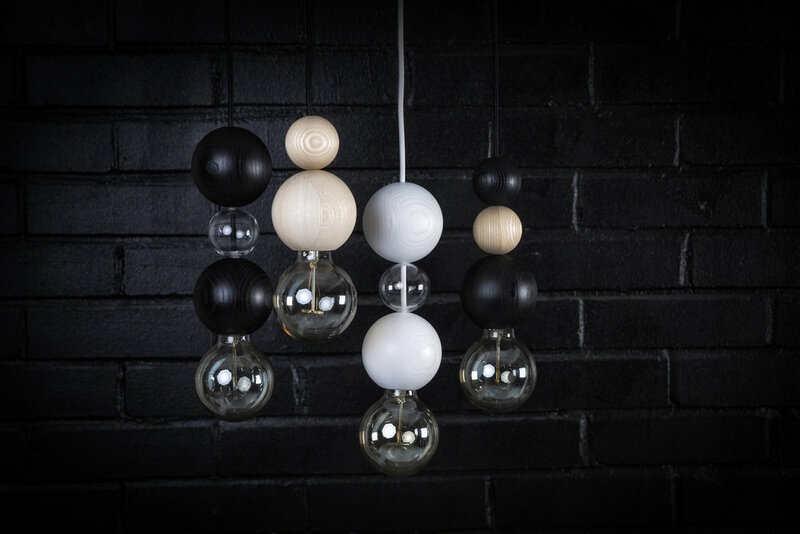 All the glass spheres are hand blown in recycled glass and manufactured in Finland by a small family business. Wood spheres are solid PEFC certified Ash and the timber comes from sustainable European forests, which is then then turned to spheres by another Finnish company. And finally, all paintwork is done by a local painter. “Here in Finland we have bright summer nights and months-long polar nights so lighting and lamps are really important part of wellbeing and interior design. My background as an interior designer is reflected in to my products. I think that a beautiful product should also be practical. For example I think lamps should be beautiful even when it ́s not switched on. Wood as a material is very fascinating. Especially Ash has a really beautiful tree pattern. I designed the QUU lamp from solid wood and hand blown recycled glass so each product is unique. The opposing materials also create a nice contrast. Wood provides roughness whilst the glass brings lightness. Round shape and versatility were also important things in designing QUU lamps. QUU gets its shape from the moon and planets." Who is QUU Designs run by? For now I’m running QUU Design on my own. I have a skilful and effective assistant who is helping me. How would you describe typical Finnish style? A typical Finnish style is simple, modern and timeless. Also practicality and light colours appear in the Finnish interior design. Where are the lamps sold? Other than being sold on our own website, QUU Lamps are in a few other online websites and stores in Finland. More resale stores in Helsinki are coming in autumn. Also this autumn we are aiming for the UK market because people in UK have been really interested in QUU Design. We are looking for suitable retailers. I think one of the greatest achievements was when I sold my first lamp. I still remember that feeling. The biggest achievement so far has been when my long-term dream came true and I launched the QUU Design brand. It has been great to see how everything has gone so well and people have been excited about my QUU lamps. At this time the greatest achievement is that we are expanding to the UK market. I am also excited that the British Vogue contacted me and QUU Design is in the October issue. I dream that QUU Design becomes an international brand and I could design more longevity, high quality and beautiful lamps and products.